Here are selected geography and map resources available on the Internet and in the UB Libraries. For more on geography, visit the Geography Department here at the State University of New York at Buffalo. 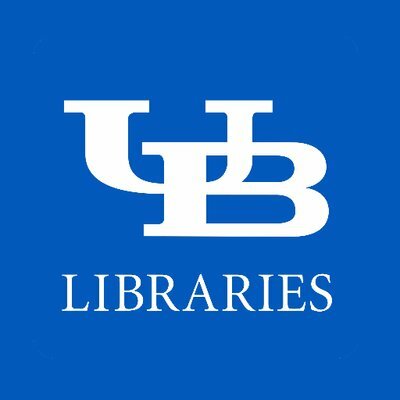 For more on maps and mapping, visit the UB Libraries Map Collection. GISCareers.com. Posted jobs and resumes online. Posting resumés is free. Careers in Geography. Site from Association of American Geographers. Also provides answers to questions on various careers in geography, as well as help on deciding what you might want to do for a career. Has a link: Job-Search and Internship Guide For Geographers. Interactive Map of Geography Departments in the United States and Canada. Select from a map; provides links to departments with programs, sorted by Bachelor's, Master's, and Doctorate levels. Departments of Geography in Canada. Listings for geography departments in Canadian universities. Earthworks links to jobs, degree programs, for related professions. Geography Departments Worldwide. Searchable database of geography departments around the world. Currently has links to 1188 Departments in 97 Countries. Ryerson Polytechnic University. School of Applied Geography program. Syracuse University, Department of Geography. See also Professional Societies for more career-related materials. The American Practical Navigator: an epitome of navigation / originally by Nathaniel Bowditch; prepared and published by the National Imagery and Mapping Agency. Complete text of the latest edition online. To access: click on "Find...Publications" then select from "menu options" box at top. Coordinates. (Coordinates: Online Journal of the Map and Geography Round Table, American Library Association) e-journal only. Articles on maps, geography, and map collections. Spatial Odyssey. Provides selective access to the full text of GIS conference proceeding articles. base line (Map and Geography Round Table (MAGERT)). Reviews of new maps, atlases, geography and cartography books, and online resources. GPS Introduction (Garmin). What it is, how it works, how to start working with GPS. Also has sections on advanced concepts, such as WAAS (Wide Area Augmentation System). Global Positioning System. GPS overview and bibliography by Peter H. Dana, The Geographer's Craft Project, Department of Geography, The University of Colorado at Boulder. Guide to GPS Resources. Links to a variety of GPS pages. GNSS (Global Navigation Satellite System). (Formerly the International GPS Service) (IGS JPL-NASA), along with a multinational membership of organizations and agencies, provides GPS orbits, tracking data, and other high-quality GPS data and data products on line in near real time to meet the objectives of a wide range of scientific and engineering applications and studies. FAA GPS Website. The Federal Aviation Administration site contains basics, technical aspects, regulations, and policies on use, among other resources. A valuable site. Global Positioning Systems (GPS) Resource Library (GPSy). Software applications, data sets, and other resources for GPS users. Global Positioning System page (U.S. Forest Service). Not limited to Forest Service activities. Has reports and reviews of equipment, data sets, tests, more. Time Converter for GPS Seconds. US Naval Observatory (USNO) GPS Operations. Technical data and information on the entire satellite system and how it is coordinated. GPS Utility (software). Computer program for handling GPS information. Xastir. The Xastir APRS/Mapping program now supports USGS DRG geotiff topo maps, which are available for most areas of the U.S. for free. The total number of map formats that this program can handle is up to 114. Xastir has compiled and run successfully on Solaris, FreeBSD, Linux, and Mac OS X to date. Sorry, we don't do Windows. Transverse Mercator Calculator. A useful tool for GPS users. Measuring Latitude/Longitude. Convert Lat and Long to DMS. Degrees, Minutes, Seconds to/from Decimal Degrees. Geoplaner. Find and convert coordinates on map. Does UTM, degrees, decimal degrees. Convert Coordinates: Calculate a position in a variety of formats (Earth Point). Enter Lat/Long and get coordinate system of your choice. Also has a Batch Convertor in case you have input coordinates into a spreadsheet already. •Google Maps GPS Coordinates: Latitude and longitude of an address. Get Latitude Longitude. Enter name of a place, city, state, or address, or click the location on the map to get lat long coordinates. EarthExplorer (USGS). In addition to getting coordinates, allows for area checking and other features. GetLatLong.net. Input coordinates to build your own map. Also allows for obtaining coordinates from maps. Batch Geocoding. Upload Excel spreadsheet data and it will provide coordinates and make a Google map of your data. Pangea. Search for place and get coordinates, or search with coordinates. GPS Visualizer. Input or upload your data and this will make a map with the locations plotted and labeled. Topographic Maps. Introduction and links to resources and tutorials on how to read, interpret, and use topographic maps. Relief maps. by Sadalmelik. Well-drawn relief maps of many countries in: Africa, Asia, Central & South America, Indonesia (some main islands), various Pacific islands and island groups, among others. Using the Latitude Longitude Coordinate System. Instructions and tools. Also links to using the UTM system. Finding Your Way With Map and Compass. USGS publication on reading and using maps. USGS has other Factsheets on a variety of mapping topics, such as: How to Obtain Aerial Photographs, Map Accuracy Standards, Map Scales. History of Cartography. Six-volume, online scholarly book, plus exhibits and other resources on the history of cartography from pre-historic maps to the present. How to Make a Map in Illustrator. Tutorial on making maps. Dictionaries and Glossaries of Geographic, Cartographic Terms. Lists best resources available. Maps Locator A megalinks listing of maps by the University of Iowa Center for Global & Regional Environmental Research. Map Transformation Calculator. Pick three widely-spaced sample points on the map (a broad triangle covering a large portion of the map is best), for which you know the precise geographical location, and tile coordinate. National Geospatial Program Standards and Specifications (USGS). US Naval Observatory. Resources and documents for navigation, celetial observations, time, sun/moon/planet data, etc. Official Road Map of Ontario (Ontario Ministry of Transportation). pdfs of the map in sections. Select a region and get the map. On-Line Resources for Land Surveying and Geomatics. Handbook of Magnetic Compass Adjustment (National Geospatial-Intelligence Agency). Earth magnetic fields and how to compensate for navigation. UTM Grid Zones of the World. World map and explanation of how to determine UTM coordinates. How to Use UTM/MGRS Coordinates. Instructions and tools. UTM Utilities (National Geodetic Survey). Convert Lat/Long to UTM or UTM to Lat/Long. Converting Latitude/Longitude to Universal Transverse Mercator (UTM) (GPSy website). Converters that can be used on a Mac or PC. Converting UTM to Latitude and Longitude (Or Vice Versa) (University of Wisconsin-Green Bay. For math formulae and spreadsheets. GEOTRANS Geographic Translator (US National Geospatial-Intelligence Agency). Software and source code. GEOTRANS (Geographic Translator) is an application program for easy conversion of geographic coordinates among a wide variety of coordinate systems, map projections, and datums. Geographic/UTM Coordinate Converter. Simple converter for online conversion. Degrees, Minutes, Seconds to/from Decimal Degrees (FCC). Convert between latitude/longitude systems. Also has page to change NAD settings. Also has a page to Convert Lat and Long to DMS (but not in reverse). Mapawi. Find coordinates for cities and towns (link goes direct to NYS). MapTechnica. Shows boundaries for administrative divisions on map (cities, towns, counties), as well as for zip codes. Can be used to search free, or buy data sets for divisions. Google Maps GPS Coordinates: Latitude and longitude of an address. iTouchMap. Latitude and Longitude of a Point. On map, clicking a spot provides Lat/Long. You can keep adding points to get next coordinate (for perimeter marking or subsequent sites). Does not build a list; you must write down each coordinate as you plot it. These are websites that allow you to search for places, coordinates, and then see high resolution (down to 1 meter) images of those places. Uses USGS topographic map, GIS, and satellite imagery from other countries. Images can be downloaded or purchased (high-quality). Western New York satellite images are available at the sites below; for local imagery, see: Western New York GIS; and Aerial Photographs of Western New York & Buffalo. For instructions on how to download and use Terraserver and other mapping systems below, see: Downloading and Formatting Earth Images. For Terraserver images, see: Downloading & Formatting Earth Images from Terraserver for Recreational, Scientific, Educational & GIS Use. USGS Maps and Aerial Photo Images Online. Now part of the National Map system; has additional map and image sites, similar to the TerraServer. MyTopo.com. Create custom topo maps and aerial images from USGS base topos and satellite images. You can download copies or order high quality copies (prices are reasonable). Live Search Maps.Using USGS and other data, locate a fixed address or place, then navigate to see satellite or oblique (bird's eye) imagery. Covers US (data density based on area) and some World locations in various levels of completeness. TerraFly Similar to TerraServer below. Enter an address or zip code and get a satellite view centered on that point. Then you can virtually "fly" over the countryside. The results show much more than an image, and you can select a point to obtain data on that point. TerraServer (Microsoft). Offers both USGS topographic maps, and corresponding high-altitude images (down to 1 meter). Satellite Views. Uses Google Maps for worldwide coverage, but has categorized views to pinpoint specific features (from country through city, and then specific smaller features). See also: Aerial Photograph Collections in Other Institutions (Selected List). These are for locations across the country. DigitalGlobe. Commercial GIS and mapping site (most imagery is fee-based). Has selection of satellite imagery of various countries, regions, and features available to view or download. Often posts places in the news. Search their database to see if sample high-res images exist for your area. Planet Observer.com. Beautiful images, some samples to view, but mostly for purchase. QuickBird Satellite Imagery Samples (on MapMart site). View samples of these for free and download large-size images. Canada From Space (Canada Centre for Remote Sensing). Satellite and remote-sensing images of the country. National Air Photo Library (Natural Resources Canada). Extensive aerial and high-altitude images of Canada. Find digital copies of images and order photos. Also has resources on aerial photography, including: Introduction to Air Photo Interpretation, a page that explains how to 'read' these photographs. WorldSat International. More beautiful images, some samples to view. Canadian emphasis. One special feature: 3-D satellite images are available! Satellite Image Map of Antarctica. USGS website for images of this continent. Earth Science Images. Includes: Saharan dust storm in February 2000. (Scroll down page to locate. Click on main image to see animated images of the storm's progress). Gateway to Astronaut Photography of Earth (GAPE). Photos taken from Space trips. Well displayed views, with location info. Search by clicking on World map, or by place name, mission, or other fields. A selection of images but contains many unique locations (e.g., Galapagos Islands ). World Imagery (ESRI). Satellite imagery for the world and high-resolution imagery (1m+) for the United States, Great Britain, and hundreds of world cities. Cartographic Reference Resources (Univ. of Texas at Austin, P-C Library). Links for Distance Calculators, Gazetteers, Glossaries, Guides, Map Scale, etc. How far is it? Site calculates the distance between two points; accuarate enough for general measurements. Distance Calculator (InfoPlease). Simple distance calculation between two named cities. Google Maps Distance Calculator. Select a starting point, find ending point and mark, then distance (mi. or km) is displayed. Distance Calculator. Start on a spot, then using the Google map, track course. Once you click the button, the distance (in km) is presented. Map Crow. Find the distance (as the crow flies) between cities. Presently limited selection of cities, however list is growing. Great Circle Distance & Calculator. Brief description of concepts. Gives formulae for calculating great circle distances given lat/long. of points. Latitude/Longitude Distance Calculation. Enter coordinates for distance between (statuate or nautical mi. or km). Magnetic Field Calculators (NOAA/NGDC). Compute magnetic declination, by entering location and date of interest. Following this, you can Learn How to Use Your Declinination Value. Map Scale Calculator. For finding scale on a map or for converting map scale. Map Maker: Show Off Where You've Been. Select a base map, then select all countries or states that you have visited, push the button and get an image showing your selections. Also good for making simple maps showing any country-specific data (e.g., countries that produce a specific product). via Michelin. Michelin worldwitde maps power this system, similar to Map Blast and others. Has interface for many different languages. MapQuest World Atlas World and country maps, as well as links to address mapping and road trip planning. World Time Zones Map (US Naval Observatory). Digital Diplomacy for Students. Geography learning site by the U.S. State Department. (K-12 level, but useful for all). See also: Youth and Education page for educators and students. USGS Geography Educational Materials. For teachers and students. Lessons and exercises in geography, map reading and use, geological study, and other topics. Also has great links to additional student/teacher sites online. World Population maps. Gridded Population of the World (GPW). Maps showing population distribution, from UN and world government data sets. World Sites Atlas. Find simple political and physical maps of countries, states, and provinces, along with basic geographical information. DIY Map: Visualize your information. DIY Map is a clickable, zooming map written in Flash and colored by data from an external text file. Plot data on a state map. Create a geographic interface. Epi Info ™ ? (Centers for Disease Control and Prevention (CDC). Epi Info? (free download) allows, epidemiologists and other professionals to develop a questionnaire or form, customize the data entry process, and enter and analyze data. Epidemiologic statistics, tables, graphs, and maps are produced with simple commands. Epi Map displays geographic maps with data from Epi Info?. Page has data downloads for created studies, help, and other materials. See their page: Resources for Creating Public Health Maps. How to Make Your Own Google Maps (Google). Official information and help page for creating custom maps using Google Maps. HOW-TO: Make your own annotated multimedia Google map. Advice and instructions on using Google Maps system. Smart Draw. Draw maps; templates included. Your Sky Celestial Chart creator (Fourmi Lab). Enter coordinates and time, get a map. If you choose a specific city, you get a by-product of exact coordinates for that city. See also: Geographical Information Systems for GIS-related software. Google Maps Mania. Unofficial Google Maps blog tracking the websites, mashups and tools being influenced by Google Maps. Mapperz: Mapping News Blog. Map and GIS News finding blog. Mission is to provide the newest, fastest, cleanest and most user friendly maps available online. Strange Maps. Carto-curiosities, geo-spatial concepts, and a variety of creative ideas turned into maps.